I love decorating. I also love organizing. My new classroom does not satisfy my decorating needs or my organizing needs. It’s not undecorated and it’s not unorganized, but it’s also not how I like it. In an effort to save my sanity, I am slowly working on making it mine. I’ll be bringing you small projects as I change things. Most will be posted on my teaching blog, Moments to Teach. There are a few that will be posted here if I think they can be applied to every day organizing as well. Today’s organizing project is one that I feel can be applied outside of the classroom as well. The boards were less than appealing and my daily lines were messy. I happened to take a shot of the board after I erased it, but imagine crooked, squiggly lines with scattered work and you’ll know how it looked. I am not very good at drawing straight lines, let’s just say that. I also didn’t like having to redraw my lines everyday so I set out to find a solution. Enter Dollar Tree and their great line of washi-like tape! 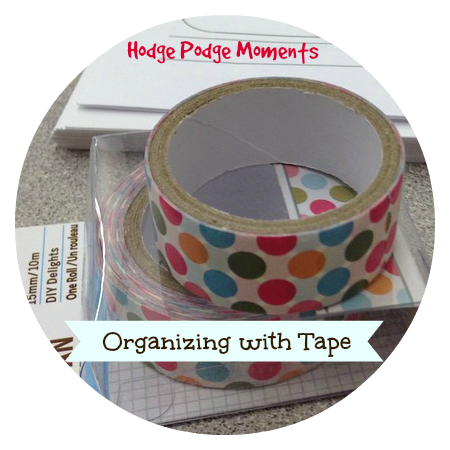 The first step for this organizing project (after buying the tape of course) was to draw out a plan. I knew that if I didn’t draw out my plan in advance, I would miss a section that needed to be included. You can see my rough plan drawn on an index card below. The last step was to add my headings. I wrote them up in marker today but I have other plans for the near future once I find the supplies needed! Washi tape is a quick and easy way to spruce up the different spaces in your house. It’s a temporary upgrade as well, which makes it nice. When you’re tired of the design you chose, you can easily remove it and change the look of your stuff! 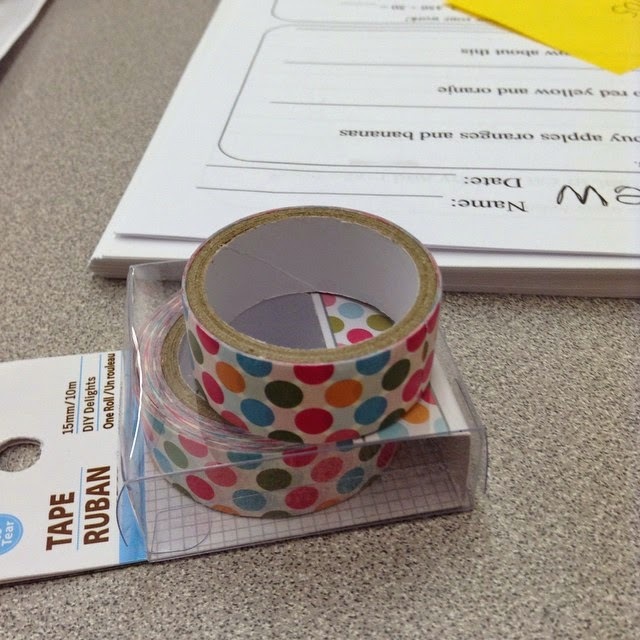 I use washi tape all over the place! Isn't it the best? I love it!